Welcome to the Kansas Folk Music and Dance Resource Center! Information on folk music and dance taking place in Kansas today. Information on existing collections of folk music and dance materials. Stories, photos, recordings, and memories of folk music and dance in Kansas. In a jam? In a band? Do you play, sing or dance? Tools to help you preserve your history. 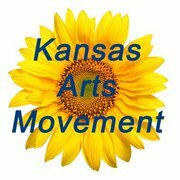 Help support and promote the arts in Kansas. Learn how at www.kansasarts.org! Download the paper that started the Kansas Folk Music and Dance Resource Center.